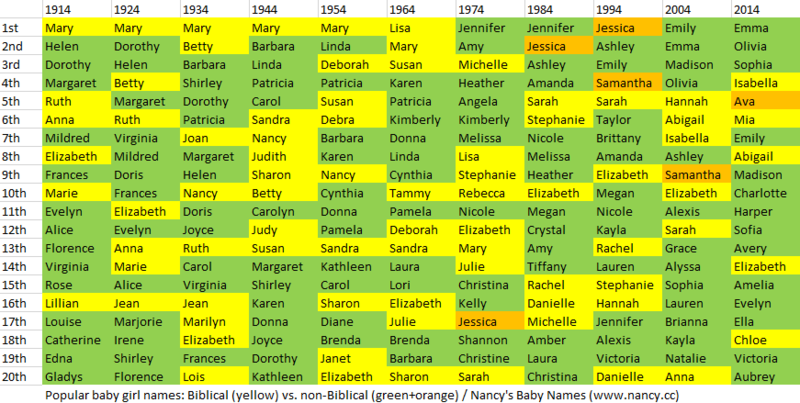 How popular is the baby name Cynthia in the United States right now? How popular was it historically? Find out using the graph below! Plus, check out all the blog posts that mention the name Cynthia. Did Cindy-Lou Who Inspire a Debut? The spellings Cindie, Cindee, and Cindye also saw peak usage in 1957, as did the name Cynthia. The cause was the catchy song “Cindy, Oh Cindy,” two versions of which reached the Billboard Hot 100 in late 1956 and early 1957. The one by Vince Martin and The Tarriers peaked at 12th, while the one by Eddie Fisher* peaked at 10th. Television audiences also heard the song: Perry Como sang it on his own show in November 1956, and Vince Martin sang it on The Steve Allen Show a month later. Getting back to Cindylou, though…there are some possible outside influences for the debut of Cindylou specifically. The most intriguing is Cindy-Lou Who (“who was no more than two”) from the beloved Dr. Seuss book How the Grinch Stole Christmas!, which was published simultaneously in Redbook magazine and as a standalone book in December of 1957. Now, Cindy-Lou was a minor character, and the story appeared late in the year — these are strikes against the theory. But, looking at vital records, there do seem to be a few extra people with the first-middle combo “Cindy Lou” born in December of 1957 as opposed to earlier in the year. It’s likely that Dr. Seuss (or one of his editors) was influenced by the trendiness of the name Cindy that year…but did Cindy-Lou Who in turn give a bump to the name Cindylou? What are your thoughts on this? *Later in 1957, Eddie Fisher’s wife, Debbie Reynolds, scored an even bigger hit with “Tammy.” Around the same time, their daughter, Carrie — who went on to play Princess Leia in Star Wars — had her first birthday. P.S. The Buddy Holly song “Peggy Sue” (1957) was originally called “Cindy Lou,” incidentally.